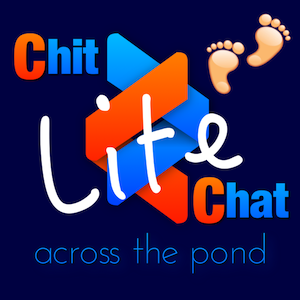 I asked Mike Potter to join us on Chit Chat Across the Pond this week with the express purpose of trying to convince you to come to Macstock Conference and Expo on July 20th and 21st. Do not listen to this episode if you don’t want to be talked into it because I guarantee you’ll want to after hearing Mike and me talk about how interesting and fun and inclusive and geeky it is. Macstock Expo is a fantastic opportunity to watch tech talks by great speakers, and to hang out with regular people who love the same technologies you do. If you think you’re too young, Ian’s son came last year and I think he’s around 12 years old. If you think you live too far away from Chicago where the conference is held, Martijn comes in all the way from the Netherlands! During the show Mike gives us the special coupon podfeetbonus10 for NosillaCastaways to get $10 off the $179 early bird price. Learn more and sign up to attend at macstock2018.com.